Early Access means you can play Hades while it’s still in active development. Though the game is a work-in-progress, we think Hades already offers many hours of exciting action and engrossing narrative. In our lead-up to launch, we felt it was in an ideal spot for us to continue development in partnership with our players, to help us make it even better. By playing in Early Access, you’ll be able to see the game take shape over time based on our plans and your feedback. We expect to add features, events, characters, weapons, powers, environments, and more, all while fine-tuning every aspect of the experience. Why launch your game in Early Access? You’ve never done that before. From the moment we started to imagine the concept for Hades, we’ve been excited to create a game we could continue building and improving once it was in your hands. 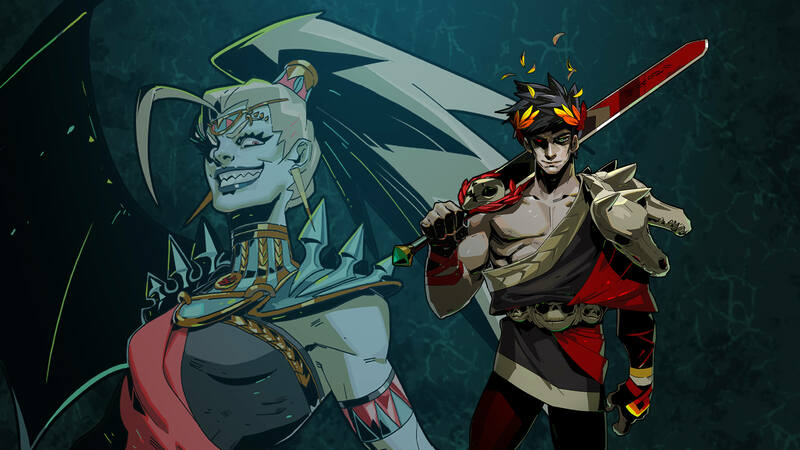 We think developing Hades in Early Access is key to making it the best game it can be. With each of our previous games, we announced with playable builds available only to a relatively small number of people--those who attended our announcement events. This time, we wanted everyone to be able to play our game as soon as we felt it was ready to reveal. More importantly, we think what we can build while taking your feedback into account will be much better than if we were to work in relative secrecy until it was done. How often will you be updating the game? During Early Access, we expect to roll out major content updates roughly once a month, and smaller updates more often. Major updates should make significant additions, e.g. new characters, environments, weapons, or game systems. We expect Early Access to last more than a year from our initial launch on Dec. 6, 2018. Will I have to buy the full version after Early Access? No. Hades is a premium game that’s yours to play as much as you want once you buy it, whenever you buy it. Earlier adopters will receive the many free major updates we expect to release as we continue building the game in Early Access. What is a rogue-like (or rogue-lite), anyway...? The rogue-like is a cousin of the action-RPG genre that put us on the map with our best-selling titles: Bastion and Transistor. Rogue-likes are combat-oriented games where you get stronger as you fight, (almost) inevitably dying at some point, then carrying that knowledge forward into your next randomized run. While Hades is very much an action game, rogue-likes traditionally are turn-based, strategic games -- so, the term ‘rogue-lite' is also sometimes used to describe games that take influence from the genre without strictly adhering to the original format. We love the sense of challenge, player expression, and replayability inherent in games. With Hades, we wanted to create our own take on this style, with a real sense of place and story to it, much like how we infused a sense of narrative purpose into the action-RPG with Bastion. Who are you folks, again…? We’re Supergiant Games! Our goal is to make games that spark your imagination like the games you played as a kid. We’re a small independent studio in San Francisco that’s been around since 2009. Hades is our fourth game, after Pyre, Transistor, and Bastion, respectively. Each of our previous games has earned widespread critical acclaim for their unique synthesis of gameplay and narrative, and for their atmospheric art and audio. The same core team of seven that created Bastion has continued working together through all four projects--but now alongside a greater number of talented developers to bring our team size to around twenty. Your games are known for characters and story. How does that fit with Early Access? The opportunity to deliver story in a serial fashion during Early Access is one of the many reasons we were excited to go this route with Hades. Think of our Early Access launch as the pilot episode of a new series. You can look forward to meeting close to twenty different fully voiced characters, experiencing the setup for the story through hours of unique, flavorful events and interactions. You can engage with the narrative as much as you like, so if you just want to dive in for a quick hack-and-slash session, Hades has you covered. Our Early Access launch build does have a specific endpoint in terms of how far into the Underworld you can go, and you won’t be able to get to the end of the story just yet -- we’ll be saving that for when we’re finished. Along the way, we’re going to keep adding characters and events, bringing the story closer to the climactic ending we have in mind. Note that you can continue playing Hades indefinitely due to its structure and design. What are the chances I run into horrible bugs or lose progress during Early Access? We’ve done our best to launch Hades in a high-quality, problem-free state. However, you may run into problems we didn’t find. We have always prioritized fixing issues affecting our customers' ability to play our games as quickly as possible once we’re able to track those problems down. As we add new features, from time to time we may also inadvertently introduce new bugs, and we appreciate your patience and understanding around this during Early Access. As far as saved progress is concerned: We will do everything we can to ensure your existing save data continues to work with any content changes we make. But, there may be times when we do end up making big-enough changes that cause aspects of your progress to reset. We will do our best to limit these incidents and communicate openly around them. At the time of the Early Access launch, Hades includes English-language text and voiceover only. There is an in-game Languages setting and menu translations into several other languages, though the game content itself is not localized at this time. We will be looking into our options for localization during Early Access. How can I provide feedback on the game? You can provide us with valuable feedback simply by playing the game; an optional menu setting lets you anonymously transmit gameplay data to us (no personal identifying information is included), which we’ll use to inform balancing decisions as we move forward. To give more detailed feedback, please join our Discord at discord.gg/Supergiant! Visit #hades-feedback, and check the pinned posts for details. Does Hades have controller support? Yes! The game should automatically work with PS4, Xbox, Switch Pro, and other XInput controllers. Controller and mouse-and-keyboard controls are fully customizable. I love the music in your games. Is the Hades soundtrack available? Music has always been a big part of our games, and Hades is no exception! We’re eager for you to hear the blood-pumping musical score our resident maestro Darren Korb has come up with. The initial Early Access launch features more than an hour of original music created for the game. You can stream the music free on our YouTube channel (youtube.com/SupergiantGames) or Spotify and other services. We’ll be releasing new tracks as singles throughout development, and we expect to have a full soundtrack release available for purchase at some point. Is Hades a multiplayer game, or are there any plans for multiplayer? Hades is a single-player game. We have no plans to add multiplayer, as we have been building the design and narrative of Hades with a solo experience in mind. How long has Hades been in development? We started working on Hades less than a month after our previous game, Pyre, launched on July 25, 2017. Each time we’ve completed a project, we’ve found ourselves eager to dive into something new. This time around, we wanted to create a game that combined some of the best aspects of all our previous games: the immediacy and accessibility of Bastion, the rich atmosphere and combat depth of Transistor, and the big and colorful cast of characters and forward-moving story structure in Pyre. Hades is also our first game adapted from an existing mythology -- the world of Greek myth. We felt we had a unique perspective on this theme, and saw the adaptation process as a new and exciting creative opportunity to explore. Our take on Greek mythology assumes no prior knowledge of the subject. Yet, those familiar with Greek myth should find our take on it to be true to the spirit of the source material, from Homer to Hesiod. Greek myth comes from stories of ancient gods and heroes filtered through new points of view; we’re excited to share ours. © Supergiant Games, LLC 2018. All rights reserved.